Interdiction deputies with the Western Colorado Drug Task Force stopped a rental car near mile marker 18 on eastbound Interstate 70. It was about 10:40 a.m., on October 15, 2013, when deputies witnessed multiple traffic infractions and pulled the black passenger car over. The approximate street value of 5.5 pounds of methamphetamine is between $100,000.00 to $150,000.00. 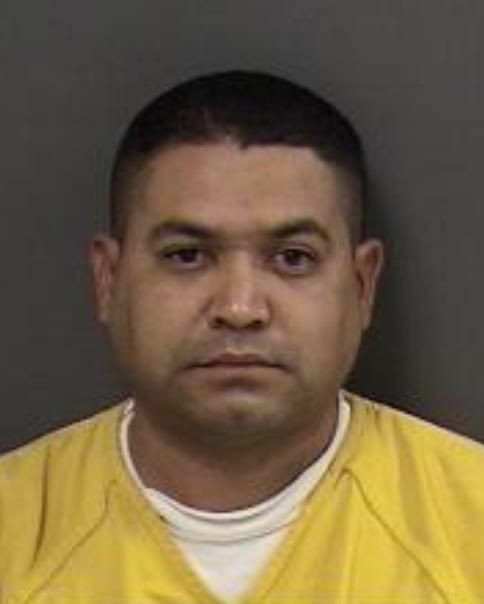 A Mesa County criminal history of Carlos found he was previously arrested and convicted of transporting 8 pounds of marijuana by Greyhound bus. In both Mesa County arrests, his final destination was Colorado Springs. Bond information can be found on the Mesa County Sheriff’s Office Inmate Inquiry System. This entry was posted in GJPD News and tagged GJPD Patrol, Grand Junction Colorado, grand junction police, Law Enforcement, Mesa County, Mesa County Colorado, Police.